Why Should I Buy a Modular Home? | "Modular Homes Austin"
Why Should I Buy a Modular Home? Thinking about purchasing a modular home in Central Texas? For more than 60 years, the team at Modular Homes Austin has helped hundreds	of Central Texas residents purchase and build quality modular housing. Modular homes are a great housing option for individuals and families	who own land, need land and need cost-effective housing for their properties. Our team strictly works with the highest-rated modular home manufacturers	to ensure you obtain the best modular home for your money. If you’re tired of throwing money out the window by renting apartments	and homes, and want to create a better life for your family, you should	consider buying a modular home. Now is the time to invest in The American	Dream! The modular homes that our company represents are fabulous starting	points for home owning if you are struggling with finances but still would	like to have your children grow up in a high quality home. You can get	practically everything you’ve ever wanted in a home without having	to overpay for it. In fact, we’ll even help you secure a loan so	you can purchase a modular home with Modular Homes Austin. We are dedicated	to helping you get quality housing for you and your family. If you desire a quality house that’s built to HUD code, then that’s	a good reason to buy a modular home. Modular Homes Austin has different	types of floor plans and can build your home to your specifications. 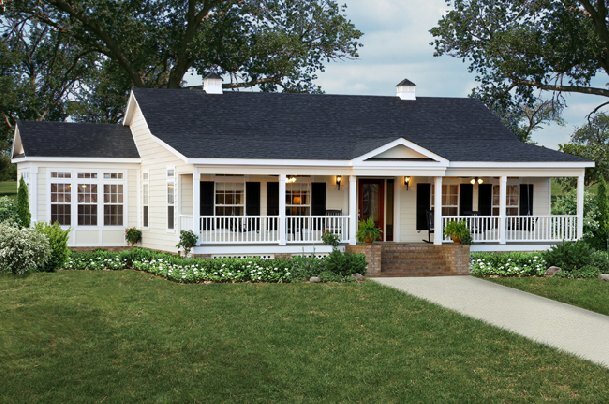 If	you want a house with a porch or patio or a dormer or a three car garage,	modular homes are a perfect choice for you when it comes to housing. Modular homes are also a good choice for you if you own a large land and	need to build a home on it. Our modular homes can be built quickly, which	means you don’t have to wait long for your home to be delivered	to you. Not only can purchasing a modular home cut down the costs of a	site built home, but it’s also a very cost-effective type of housing. If you’re interested in having a home built to your specifications	at an affordable price, get in touch with Modular Homes Austin. There	are so many other benefits of purchasing a modular home, so come see for	yourself why a modular home may be perfect for you and your family! Free	tours are available for all our floorplans. Call us now at (512) 385-9701 to schedule a tour and to learn more about our Austin	modular homes. Investing in one of them will be worth every single penny.